The New Year festival is celebrated in all parts of India under different names. Unlike the internationally accepted Christian calendar, wherein the New Year commences on the first day of January; the Hindu calendar follows a different cycle. Accordingly the New Year for different cultural traditions in different states of India typically fall in the month of March/April. The people from Andhra Pradesh and Karnataka refer to the New Year as Yugaadi (or Ugaadi). The Keralites call it Vishu. The Tamilians from Tamilnadu celebrate the New Year under the banner of Puthandu. The Maharshtrians call it Gudi Padwa while the Punjabis refer to it as Baisakhi. The Sindhis call it Cheti Chand. 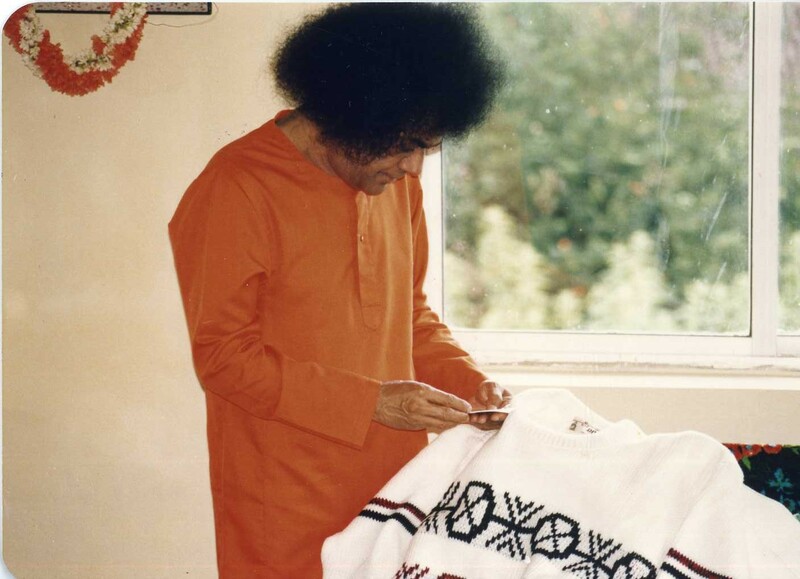 This posting is very elaborate and exhaustive as it captures various aspects of the festival and its inner significance through a number of Discourses delivered by Bhagawan Baba on the occasion of the New Year, almost every year. 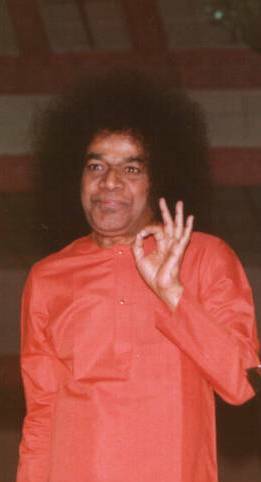 Though Bhagawan focuses on the term Yugaadi, the principles and significance highlighted by Him remain universal and applicable for all New Years celebrated by different people at different points of time. 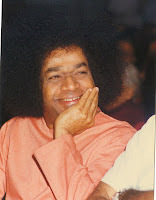 There are 21 excerpts from Bhagawan’s Discourses presented in this posting. 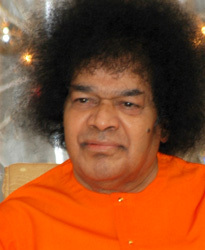 These have been selected from Discourses given by Bhagawan Baba in the years 1989, 1991, 1992, 1997, 1998, 1999, 2002 and 2003. Clip 1 stresses on the fact that all Bharatheeya festivals have one purpose in common and that is to promote worship to the Divine. Clips 2 to 5 explain how Yugaadi is actually one of the names of God and therefore how the festival is named after God Himself, who is the embodiment of Time. Clip 5 highlights how the Yugaadi festival is associated with Prakruti (Nature). Clip 6 elaborates on the inner significance of the “Yugaadi Pachchadi”, while Clip 7 explains the inner meaning of reading the Panchaangam on the Yugaadi evening. Clips 8 and 9 highlight the fact that it is not the Yugaadi festival which brings joy or happiness or fortunes; but it is the fruits of one’s own actions. Clips 10 to 18 are all about the true spirit of celebrating Yugaadi. The main purpose is to purify the heart, develop sacred feelings, thoughts and qualities and not just wearing new clothes and eating sweets. It is new ideas and new enthusiasm that is required. 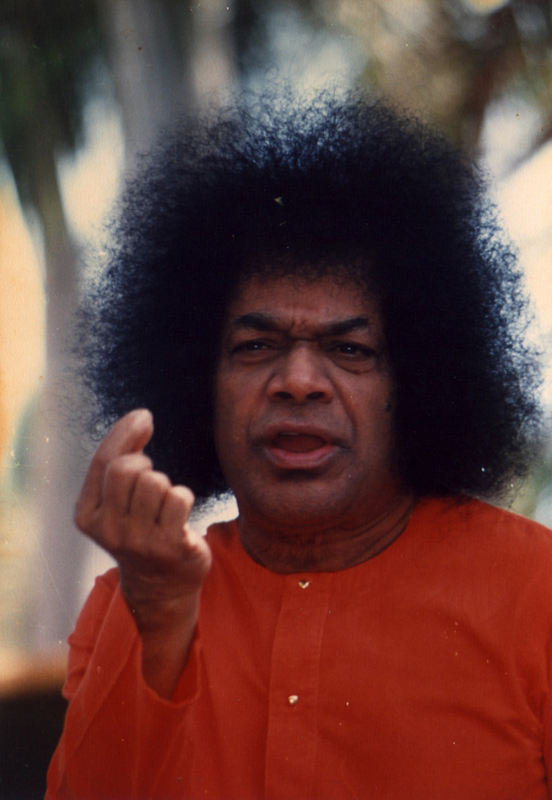 Clip 19 explains how mere spending of money for rituals cannot burn away one’s sins. 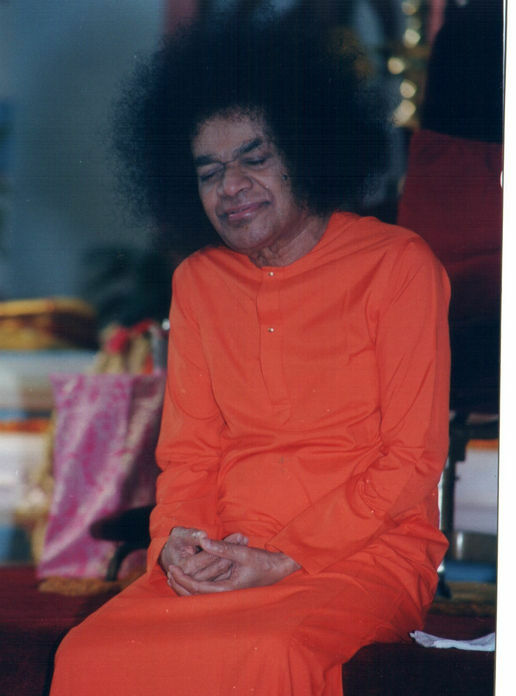 In Clip 20 Bhagawan explains how one need not wait for the New Year to undertake good acts like feeding of the poor. These must be done every day of the year. Finally Clip 21 highlights that Yugaadi celebration is an annual reminder of man's obligation to express his gratitude to the Divine. We must not consider Yugaadi as a mere festival. We must consider it as a day of Paramaatma (God). We must consider the spiritual aspect of the day. All Bhaarateeya festivals have a special inner significance. However, we go by the mere external rituals and celebrate the day by making sweets and other delicacies. These festivals have come into being to specifically remember God, experience happiness and get rid of our sorrows. These festivals have been started to get rid of our ignorance and manifest Prajnaana, Sujnaana and Vijnaana (Awareness, Wisdom and Knowledge). Man has been gifted with intelligence along with the physical form. However, the span of the body is limited; we must not forget this. In the short span of our life, we must use our intelligence and experience true happiness. But, unfortunately man is misusing the intelligence given to him. God has been envisaged as the embodiment of Time. As He is the beginning (source) of the Yugas, the name Yugaadi has come. Yugaadiyai Namah extols God with the name of Yugaadi. He presides over Time. He is the Spirit (Atmic principle) of Time. That is why he is called Kaalatmakaaya Namah. As God contains Time in His womb, He is also called Kaalagarbha (container of Time). Time is the devourer of the physical form; whereas the Lord is the devourer of Time itself. The New Year festival (Samvatsaraa) is an expression of the name of the Divine Itself. Therefore, Time is the very form of God. Among the 1000 names of the Lord are Samvatsaraa, Yugaadi, Kaalakaalaaya, Kaalaprasannaya, Kaalaatheethaaya, Kaalaswaroopaaya, Kaalanirmitaaya, and the like. All these are names associated with Time. The New Year festival is therefore associated with the name of the Lord. There is no need to entertain fears about the losses and difficulties that may occur during the year. When God Himself is coming down as the New Year, anything may happen, good or bad. The Lord (Maha Vishnu) may come down to protect devotees like Prahlada and Dhruva. He may also destroy demons like Hiranyakasipu and Bhasmaasura. The same Vishnu confers bliss on some and the same Vishnu destroys some others. The Lord acts according to the qualities of the persons concerned. They are either protected or punished. Hence, God who is the embodiment of Time / Samvatsaraa should be put to right use. We have classified the aeons into four, viz: Krita Yuga, Treta Yuga, Dwapara Yuga and Kali Yuga. These are not distinct from each other. The divisions have been identified based on our experiences. Whether it be Krita Yuga or Kali Yuga, it has no separate form. According to the conduct of the people at the time, the Yugas have come into being. Even during Krita Yuga there were people filled with attachments and aversions. There are even in Kali Yuga people wedded to truth and leading virtuous and peaceful lives. God is the origin of all the Yugas. Hence, one of the names bestowed on God is Yugaadi (One from whom all Yugas begin). The Yugaadi festival is celebrated for this very reason. Everything is a manifestation of the Divine. There is no second object in this world other than the Divine. He is the one who gives and He is the one who takes. Not realising this, man becomes elated when he is given something and feels depressed when something is taken away. You should therefore develop the state of equanimity which neither makes you elated nor depressed. Today is the beginning of the New Year (Yugaadi). What is the first Rithu (season) of the year? It is Vasantha Rithu (the Spring season). What is the most important month in the year? It is Chaithramaasa (the first month of the year). With respect to the Pakshaa (fortnights of the lunar calendar), the Shuklapakshaa (bright fortnight) is the first part of the month. Among the Tithis (lunar days), Paadhyami is the first one (first lunar day). Since the first and most important part of the season, month, pakshaa and tithi come together on this day; it is called the New Year (Yuga). The first among the Tithis being Paadhyami, the first among the Pakshaas being Shuklapakshaa, the first among the Months being the Chaitra and the first among the Seasons being Vasantha; as all these are present today, it becomes the first among the year i.e. Yugaadi. This is the meaning of the word “Aadi” – “First”. In this Kali age, the first of all aspects have come together. Bharatheeyas have been observing the birthdays of Avatars (Incarnations) as festival days. The birthdays of the founders of various faiths (Mathaadipathis) have also been observed as festivals. The death anniversaries of wicked persons as well as of holy men have been observed as festivals. But the Yugaadi celebration is not related to the birth of any Avatar or the birth of any saint, prophet or the birth of any wicked person. It is related purely to Prakruthi (the phenomenal world or Nature). This is important for one and all. 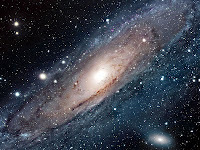 It is an occasion for comprehending the Nature of the universe. When we want to know who is God, the answer is Prakruthi. Prakruthi is the visible manifestation of God. On Yugaadi day, it is the practice to eat what is called “Yugaadi Pachchadi” (New Year savoury), as soon as they get up in the morning. What is this “Yugaadi Pachchadi”? 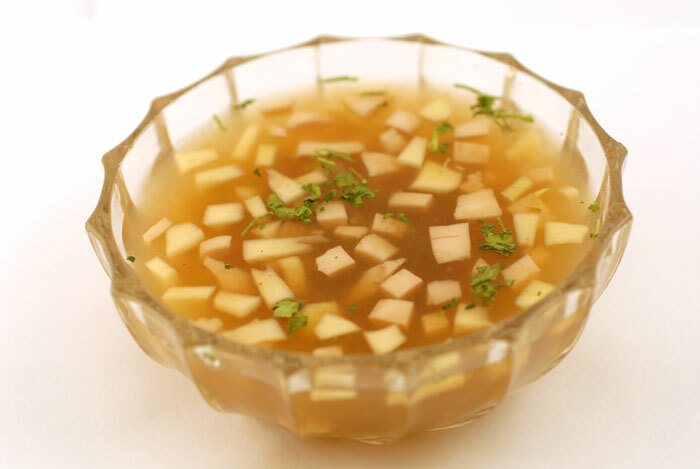 This chutney made from neem flowers, mango juice, honey, sugar and other ingredients with different tastes, is to be consumed early in the morning. The inner significance of consuming this preparation is to indicate that life is a mix of good and bad, sin and virtue, joy and sorrow; and all of them have to be treated alike. All experiences have to be treated with equanimity. Everyone should make a resolve right at the beginning of the year that whatever may come his way in the course of the year, he will face the same with equanimity. It is with this feeling that the Prasaad (chutney) must be consumed. The Prasaadam must be consumed with all satisfaction. If you criticize the Prasaadam, abusing that why consume such bitter chutney at the beginning of the year, then all along the year you will face criticism only. Welcome whatever comes your way. Consider everything as for your own good. The main goal for man is to develop such equanimity. We should exhibit the principle of equanimity by not getting elated with happiness nor getting depressed with sorrow. This is the primary message of the Yugaadi festival. There are five elements in Nature. Those very five elements are also there in our human body. Reading of the Panchaangam is the narration of the good and bad associated with these five elements in the human body. In the evening of the Yugaadi day, in villages and cities, Panchaanga Sravanam (hearing of the Panchaanga) is conducted. Panchaanga means to let one know about the good and bad associated with the five senses. NEW YEAR DOES NOT BRING ANY SPECIAL GIFTS OR FORTUNES! We are celebrating this day as New Year Day. This New Year (Hindu Year starting from April 1997) is called Eeshvara. Eeshvara means one who is endowed with all forms of wealth. People greet the New Year as if it is going to confer on them some new happiness, joy and fortunes. The good or evil, the sin or virtues, the renown or infamy experienced by people are not the outcome of the passage of years. They are the consequences of our own actions, which we experience every second. Samvathsara (the year) is one of the names of God. Because God is associated with time, He is also known as Kaalaathmaka (Time-spirit). Hence, we should not consider the New Year (Kaalaathmaka), who is the spirit of Time, as likely to bring good or bad to us. Our actions, good or bad, bear fruits according to their nature. There is no need to wait for a New Year to bring new tidings. Every moment is new. Many are wondering what will be the situation in the world, what troubles and losses the New Year will bring. For all our troubles, difficulties, sorrows and happiness, the year is not responsible. Our conduct alone is responsible. If our actions are good the results will be good. Bad actions will lead to bad consequences. People think that good and bad are related to bad time or bad actions; No - not at all. The thoughts are the cause. Hence, we should develop good thoughts and perform good deeds. We should cherish good feelings and associate ourselves with good persons. We are today celebrating Yugaadi, the beginning of yet another New Year. Many New Year days have come and gone. Do you expect the New Year to bring you new happiness? Are you imagining what joy the New Year has in store for you? New Years do not offer you pleasure, prosperity or fortune. This New Year day will be like any other day with the same sunrise and sunset. Many people eagerly expect some good benefits to turn up on this day. This is all 100% negative thought. The New Year will not bring you anything new. The calendar merely tells you that a New Year has begun on a particular day. We need to find out a new path, a new life and seek a new source of joy. But unfortunately we do not think about this. We speculate on what gifts the New Year is likely to bring to us. We have to look to ourselves and not to the succession of years. Think within yourself about your condition. Turn your thoughts to God and surrender to Him. Then you will realize what you desire. Has the New Year brought about even a little change in us? What is the primary essence of the festival of Yugaadi? On this Yugaadi day, Bharatheeyas get up early in the morning, have a sacred bath, put on new clothes, eat sweet preparations and celebrate the day as a festive occasion. These celebrations have been going on for many years. People have celebrated so many Yugaadis. But how far have the people transformed themselves with each Yugaadi? The garments are new, but the mind remains unchanged. It is not enough to wear new clothes. Good qualities must be nurtured. There is no use of changing clothes, qualities need to change. Without a reformation in mind and character there is no meaning in observing any number of festivals. Live in the present. Present is most important. It is not ordinary present. It is Omnipresent! 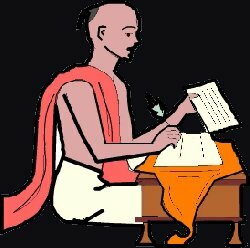 What should we do on the day of Yugaadi? From this day onwards we must take a firm resolve to make attempts to purify our heart. Past is past. It cannot be retrieved. When you are walking on the road, what is the point in looking behind? You do not need to see back, you should look at the path ahead of you. Future is not sure. It is not certain. Within seconds it will pass away. What is the guarantee that you will be alive until tomorrow? So, do not worry about your future. Do not brood about it. Live in the present. Present is most important. It is not ordinary present. It is omnipresent! When you make the present sacred, the past will also become sacred and the future will also become sacred (meaning the results of past and seeds of future are contained in the present; so when you make proper use of the present, you can be rest assured that your future is safe and secure). Embodiments of Love! Today is Yugaadi, the New Year day for the people of Andhra Pradesh. Tomorrow happens to be the Tamil New Year day and the day after, Vishu, the New Year Day for the people of Kerala. There are many festivals coming one after another. There is no shortage of festivals. There are so many festivals. But we must have the understanding to experience the festival in the right manner. Embodiments of Love! From tomorrow onwards, right from this moment, embark on a new life giving up bad thoughts and bad qualities. Purify your heart. Only then will your life be blissful. There is no point in reading sacred texts or visiting noble souls unless you purify your heart in the first instance. Let your thoughts, words and deeds be sacred. Then alone will you get fulfilment in life. This is the true transformative experience of celebrating Yugaadi. On Yugaadi day, people get up early, have a sacred bath, put on new clothes and partake of sweets and various delicacies at home. Observing external cleanliness and donning new clothes is very easy, but we are polluting the inner feelings in our heart with evil qualities, evil thoughts and evil feelings. One can claim that one has truly experienced (and benefited from) the festival of Yugaadi only when one purifies one’s heart, makes it sacred and nurtures selfless feelings. Decorate your house with the buntings of Love! People have celebrated many Yugaadi (New Year) festivals in their life. We believe in certain traditional practices that go along with every festival, such as wearing new clothes, cleaning the house and decorating it with buntings of green leaves. Greatness lies in making an effort to purify our thoughts and feelings; not merely in purifying this transient human body, which is worldly, impermanent and unstable. The significance of a festival does not lie in wearing new clothes but in cultivating new and noble qualities. The house should be decorated not merely with the buntings of green leaves, but with buntings of love. We must share our love with everyone who visits our homes. Only when we celebrate the festival with such transformation, would we be celebrating the festival realizing its true spirit. Embodiments of Love! We have been experiencing the bliss of celebrating Yugaadi (New Year) for the past many ages and generations. The Bharateeyas have been spreading peace and security to all the nations of the world with their power of spirituality. Since time immemorial the prayer of the Bharateeyas has been: Loka Samastha Sukhino Bhavantu (May all the people of the world be happy!). They prayed for peace and security of the entire world. Today, humanity has made great progress in the physical and worldly plane. But morally man has regressed. He is not able to give up his narrow-mindedness and criticism of others. When each one conducts a self-enquiry, he would find that the main reasons for this state of affairs are selfishness and self-interest. Today, man does not love objects for the sake of the objects. He does not love others for their sake. He does not worship the nation for the sake of the nation. Anything that he sees, does or thinks is out of selfishness. The day we would be able to give up our narrow mindedness, we would have achieved the true benefit of Yugaadi. Today, we are celebrating Yugaadi, which means the commencement of a new era. It denotes the beginning of every Yuga, be it Krita, Treta or Kali Yuga. This is the beginning of Nuthana Samvathsaraa (New Year). Vathsaraa is another name of God. That is why God is extolled as Vathsaraswarupaaya Namah (salutations to the one who is the embodiment of Vathsaraa). Time is God. Vathsaraa is its cosmic form. So, Time and Vathsaraa connote the same Divinity. The New Year has to be sanctified by new thoughts and new feelings. Today, humanity is stricken with fear and restlessness. Courage and strength are on the decline, because people have unsacred thoughts and wicked feelings. Your enemies are not outside. Your bad thoughts are your worst enemies and thoughts based on Truth are your best friends. But today, people do not befriend the thoughts based on Truth, which are essentially Divine. You have to make friendship with Sath, the eternal truth. Sath means Being, the ever-existent God. The worldly friends and enemies change with changes in time, action and responsibility. But Sath is the true and eternal friend. This friend is always with you, in you, around you, above you, below you and protects you just as the eyelid protects the eye. Even with the passage of the New Year, we still hold on to our old practices. Sacred feelings, sacred behaviour, sacred actions, sacred sacrifice and sacred talk do not come forth at all. We repeat the same old songs, same old talk, same old behaviour. We say this is a New Year, but then where are the new feelings? We must develop new ideas and new enthusiasm. If we are depressed all the time, when will we learn to express the joy of good living? We must be cheerful all the time. We must never worry. That is the mark of the Divine within. Happiness is union with God, not with dog! We must have a smiling face always. God is eternal bliss. If you too smile always, you will become God. True Bliss is permanent. It does not "come and go"
Today the New Year has dawned. We observe the festival at home and derive happiness in so many ways. But how long does this happiness last? It does not last even for a day. This is not true happiness. This is not the real New Year. The happiness that we get must be permanent. True bliss does not “come and go”. It is not like a passing cloud. Once it comes, it remains permanently with us. We have been born with this very bliss. Embodiments of Love! Today is Yugaadi, the beginning of the New Year. Since ancient times, people have celebrated many Yugaadis, but they are yet to give up bad qualities. True Yugaadi is the day when you purify your heart, develop sacred feelings, fill your heart with love and take to the path of sacrifice. Do not limit the celebration of Yugaadi to merely putting on new clothes and partaking of delicious food items. Today you may wear a new shirt, but how long will it remain new? Tomorrow it becomes old. In the same way, we read a newspaper today. Nobody reads the same old newspaper every day. Today’s newspaper becomes tomorrow’s waste paper. This New Year (starting from 29th March 1998) is called the Bahudhaanyaa. Bahudhaanya means there would be plenty of grain. There is plenty of grain even now, there is no shortage. But are we consuming the grain properly? No. Are we feeding some few hungry people? No. Thus good names have been given to each of the New Years. All these are names of God only. Prabhava, Vibhava, Shukla,...Angirasa, Bhava, Yuva...Vikrama, Vishu...Sarvadhaari, Virodhi...(Bhagawan gives the names of a number of New Years). All these are such sacred names. You cannot underestimate any name. Some say that certain New Years are bad and will bring bad results. Do you know why they say so? So that they can earn money by prescribing rituals for attaining peace! Can spending of money ward away the sins? In fact, we are becoming mad. Money cannot solve the problem. It is only our heart which can solve the problem. How much ever bad we may do, always contemplate on God. Devotees come and suggest to me that they should be allowed to organize “poor feeding” on Yugaadi. Why should they call it “poor feeding”? Can they not call it “feeding of poor”? “Poor feeding” means serving very less quantity of rice. Even in use of words, we are so negative! Swami never uses such negative words at all. Should this “feeding of poor” be done only on one day of the year? What will the poor people eat on other days? You must feed the poor on all days. That is the broad heart of Bhagawan! You can never estimate the broad heartedness of Bhagawan! Bhagawan’s is expansion Love, whereas yours is contraction love. Expressing gratitude is the foremost duty of man. This gratitude is called Bhakti (Devotion). It is not just chanting the name of God. 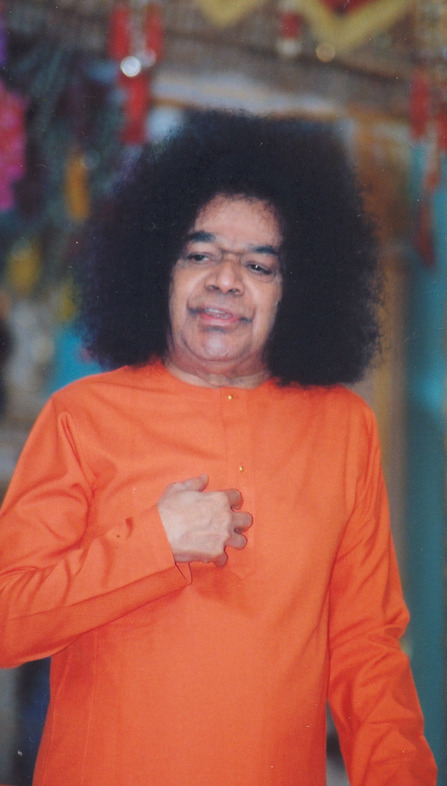 Naamasmaranaa (chanting the name of God) is just a part of the gratitude. Oh God! For having given me this sacred human birth, what is the gratitude that I can express to you? I will chant your name continuously. This is my gratitude to You. All the nine paths of devotion are symbolic of gratitude to God. Without gratitude, man will become worse than a beast living in the forest. Therefore, the Yugaadi celebration every year is an annual reminder for man to transform his heart for the purpose of seeking God. 01-What is the main purpose of any festival? 02-What is the meaning of the word “Yugaadi”? 03-What according to Bhagawan, is the basis for classifying the Yugas into Krita Yuga, Treta Yuga, Dwapara Yuga and Kali Yuga? 04-What is the first season, month, pakshaa and tithi that come together to mark the commencement of the New Year? 05-What is the inner significance of preparing and consuming the Yugaadi Pachchadi early in the morning of the New Year? 06-What is the meaning in reading the Panchaangam in the evening of the New Year day? 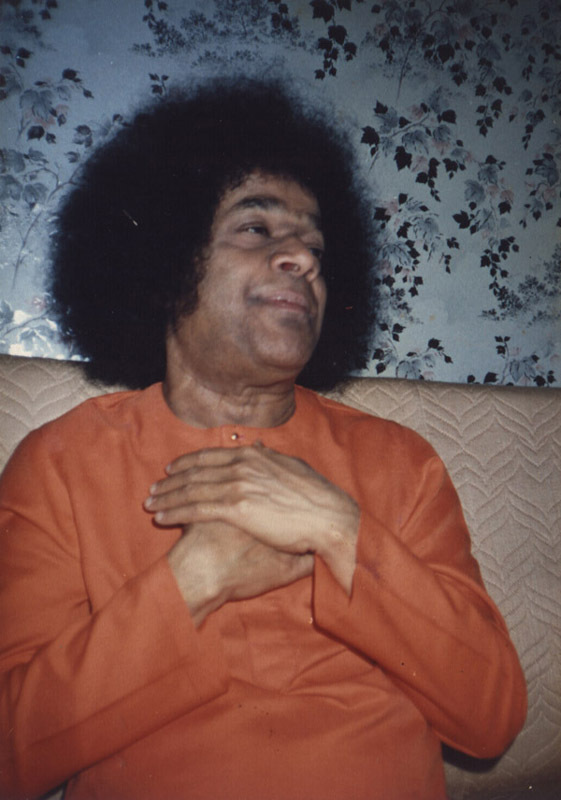 07-What does Bhagawan tell us about the expectations that people have regarding the New Year bringing them good fortune, happiness and joy? 08-What is the resolve that we need to make on the New Year day? 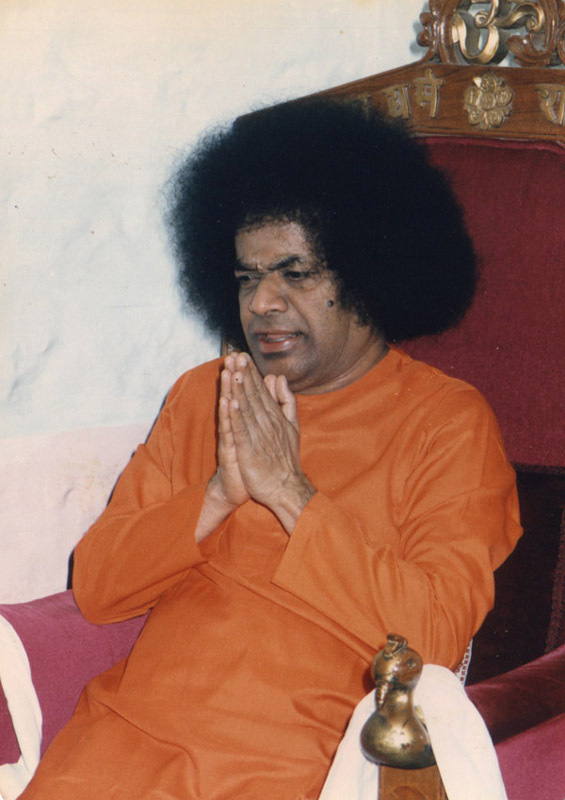 09-Bhagawan says that the celebration of Yugaadi must not be limited to wearing new clothes and eating sweets. Then what should mark the celebration of Yugaadi? 10-When would we have experienced the true benefit of celebrating Yugaadi? 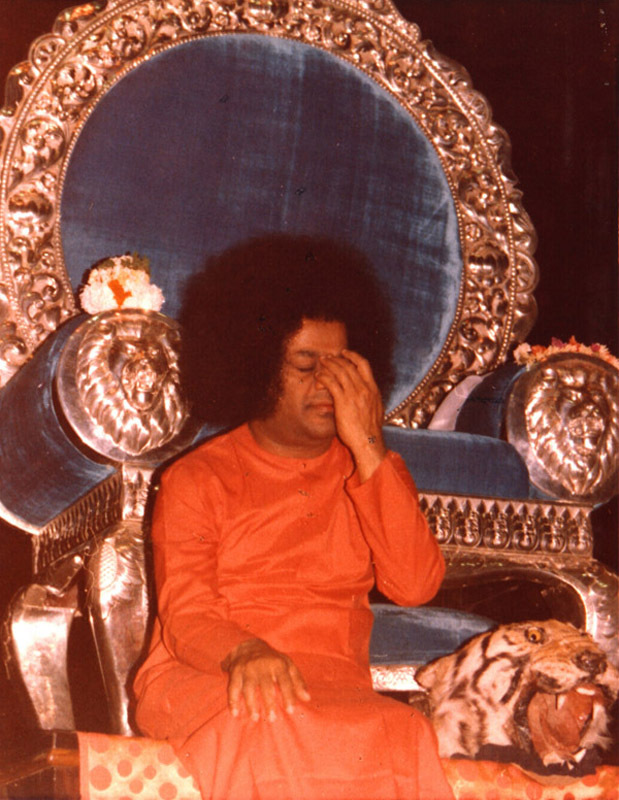 11-Why according to Bhagawan, do many Pundits claim that certain New Years will bring bad effects and calamities? 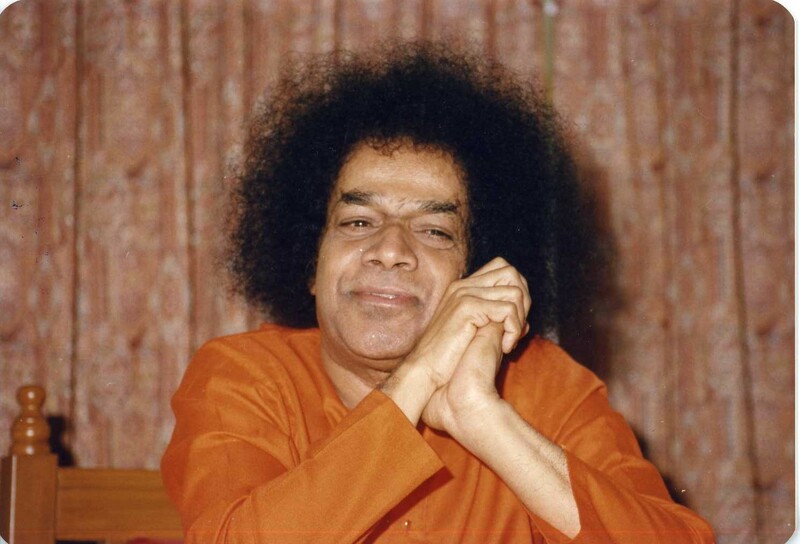 12-What does Bhagawan say about feeding the poor on the New Year day? 13-What does the Yugaadi (New Year) remind us of every year?